You can see several distinct parts. 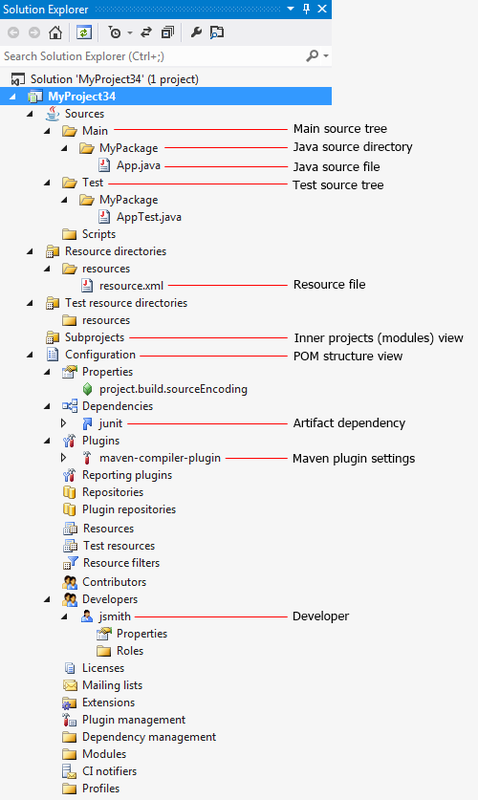 Note that Maven projects are more complex than typical Visual Studio projects for C++ or C# language. IntegraStudio does not hide Maven build file structure. It also does not create any kind of its own project model replacing Maven structures. This allows utilisation of full Maven potential and interoperability with other IDEs. However, IntegraStudio adds some extra nodes of its own in order to make working with projects easier and more "Visual Studio-like". The first node is the Sources node. It contains three branches: Main, Test and Scripts. Each of them represent a root view for Java source directories and files. They appear inside the view as on disk. Source directories to display are taken from Maven (using the sourceDirectory, testSourceDirectory and scriptSourceDirectory properties of the effective POM). All the visible folders are equivalent to physical disk folders, as usual in Java IDEs. In other aspects, they work similar to folders and files in C++ or C# Visual Studio project. You can add new elements, rename existing ones or delete them. To open a file for editing, just double-click the name. Next, there come Resource directories and Test resource directories nodes. Both host physical directories containing resources for the proper build and tests. 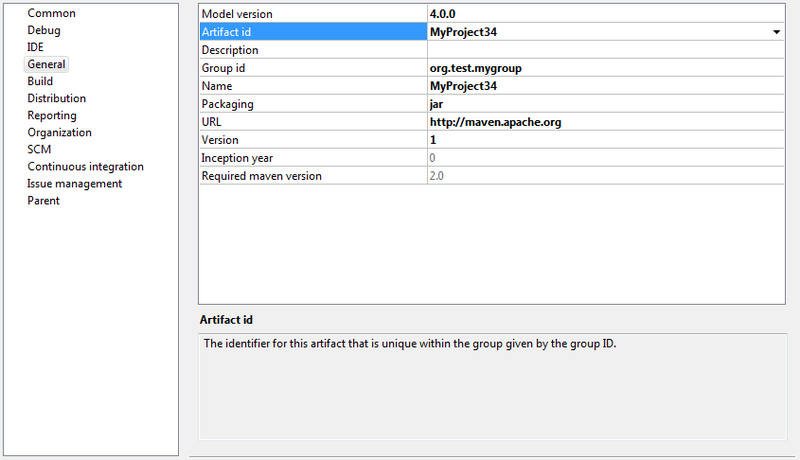 Configuration is a view of the Maven project metadata. Maven project file is also called POM (Project Object Model) and it is a XML file, typically named pom.xml. The Configuration node actually shows directly exposed POM file structure. You can configure every available option here, including dependencies and plugin configuration. You can find reference documentation regarding the POM in this section of Maven docs. Every type of a node has its own set of properties. A directory node inside the Sources, Resources or Test resources views: you can add a directory or a file. In case of file, you can choose a file template (e.g. Java file or generic text file). 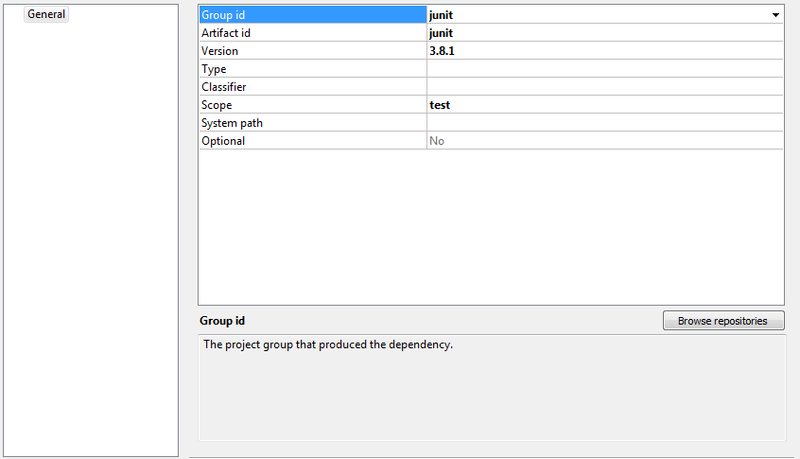 Properties node inside the Configuration view: a new Maven property. IntegraStudio displays a configuration window which allows you to enter key and value. Plugins node inside the Configuration view: a Maven plugin configuration. Maven does all build tasks through plugins. There is a plugin which compiles the sources, a plugin which generates the documentation, a plugin to handle dependencies, and so on. Here you can configure the plugins. If you do not specify any configuration, default settings will be used. Contributors, Developers, Licenses, Mailing lists: optional metadata describing the project. Modules: raw list of modules (inner projects) as is in the POM. These modules are viewable under the Subprojects node described above.